New Delhi: 43 candidates who received coaching and training in the Residential Coaching Academy (RCA), Jamia Millia Islamia have been selected in UPSC’S Civil Services 2018. 29 of them were residing in RCA and the 14 were trained for interview programme through orientation classes, expert lectures and mock interviews with in-depth feedback. Third rank holder Junaid Ahmad is the star performer from the RCA this year. Junaid got rank 352 in the civil services exams last year and got IRS but his relentless hard work helped him eventually become 3rd topper. Officiating VC-JMI, Prof. Shahid Ashraf said that the consistently high performance of RCA, Jamia trained students in Civil Services Examinations year after year is a matter of great pride and satisfaction for the university. We expect better result in the coming years. RCA, JMI has so far produced nearly 180 civil servants and more than 200 students have been selected in other central and provincial services. The scheme of free Residential Coaching Academy (RCA) has been established in 2010 by UGC for candidates of SC, ST, Minorities and Women. Students are selected for comprehensive coaching on the basis of an All India written test followed by individual interviews. 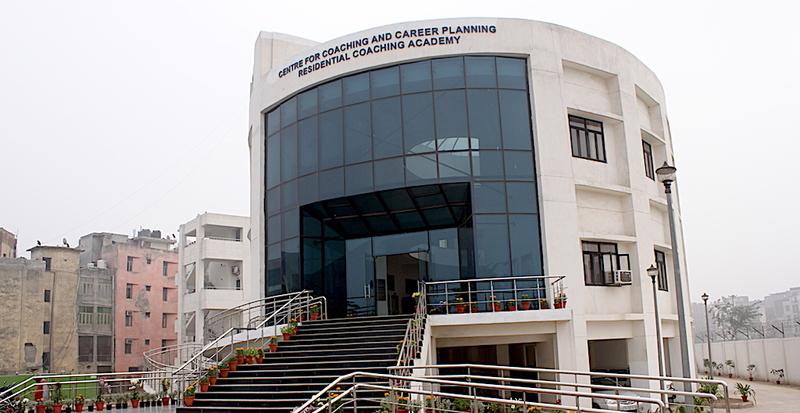 RCA provides a well structured multifaceted coaching & personality development programme. This involves guidance at various stages of the examinations i.e. Prelims., Main and Interview with over 500 hours of classes, Special Lectures of eminent scholars and senior beauracrats, Group Discussions, Test Series and Mock-Interviews. Besides, the Academy also provide 24×7 air-conditioned library facility and free wi-fi. The Academy provides safe and convenient hostel facilities.